With the perfect location in Miami, in the prime location of Ocean Drive is the former Versace Villa, now a luxury all-suites hotel. 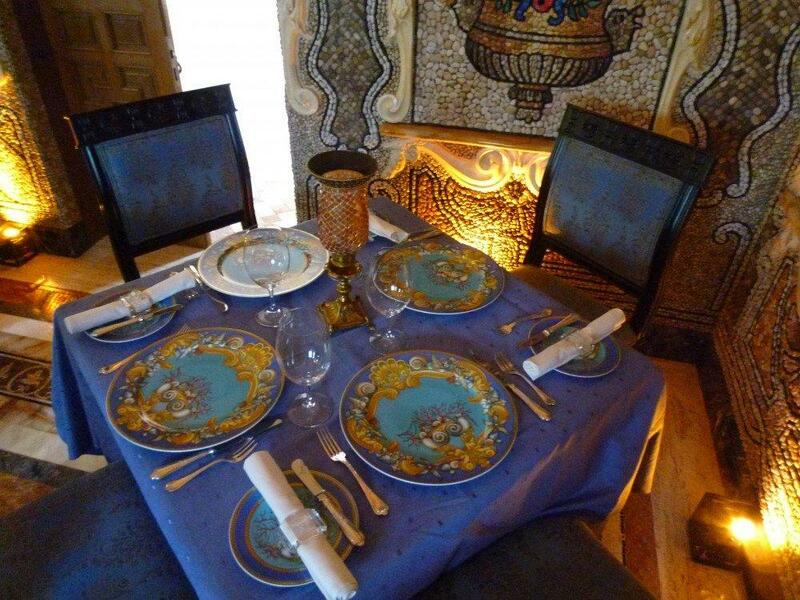 Casa Casuarina was built in the 1930’s, inspired by Alcazar de Colon in Santo Domingo. The original building was constructed in 1510 by the son of Christopher Columbus and is the oldest building in Santo Domingo. 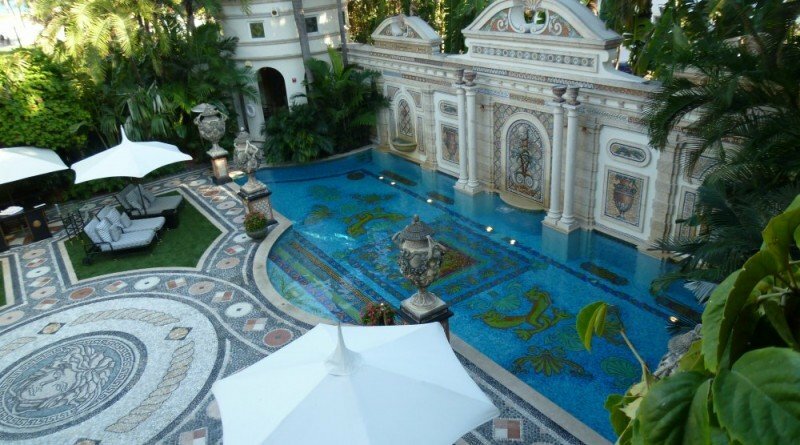 Gianni Versace bought Casa Casuarina in 1992 for $2,9 million. 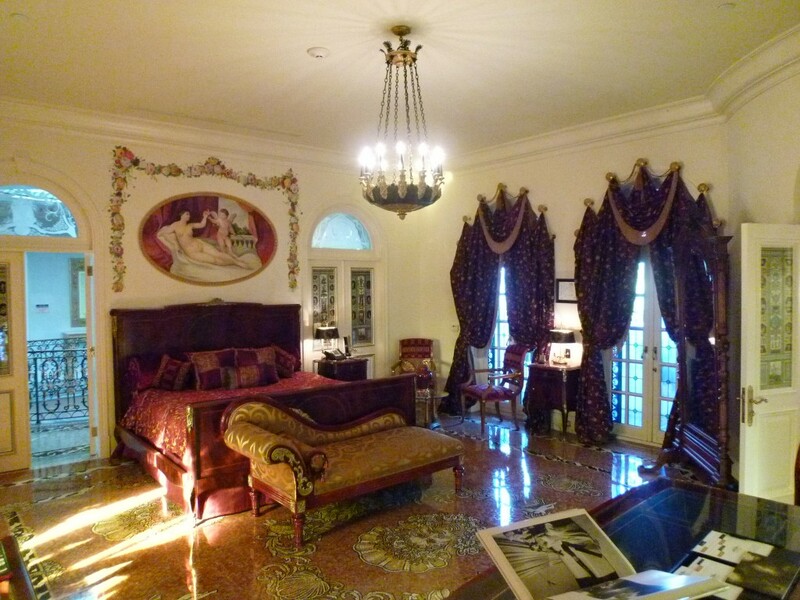 Today, Casa Casuarina is a luxury all-suites hotel, just 10 suites in total. Prices starting at $1500 per night in low season and $3500 in high season. This exclusive hotel is only open for its recidents. 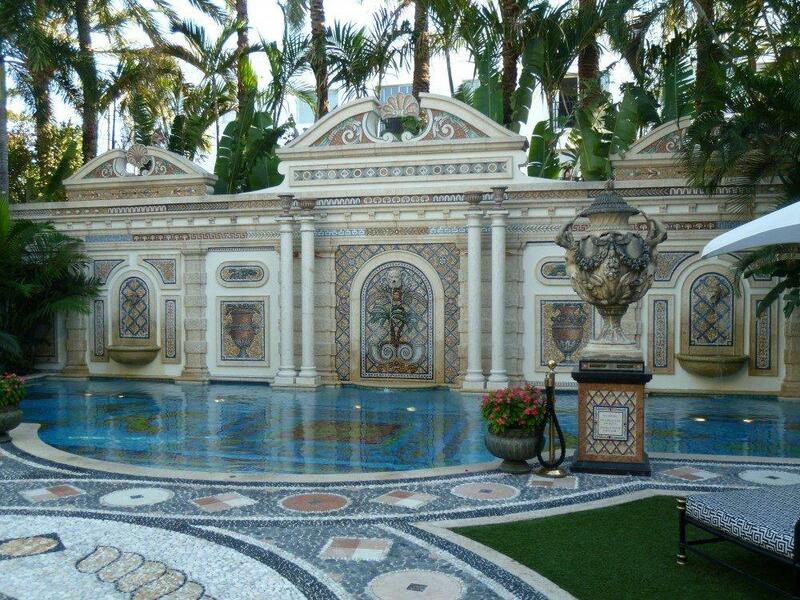 Mr Versace bought not only the villa but the buildning next to it and created the mansion as it is today. The second largest suit, Donatella Versaces old suit. 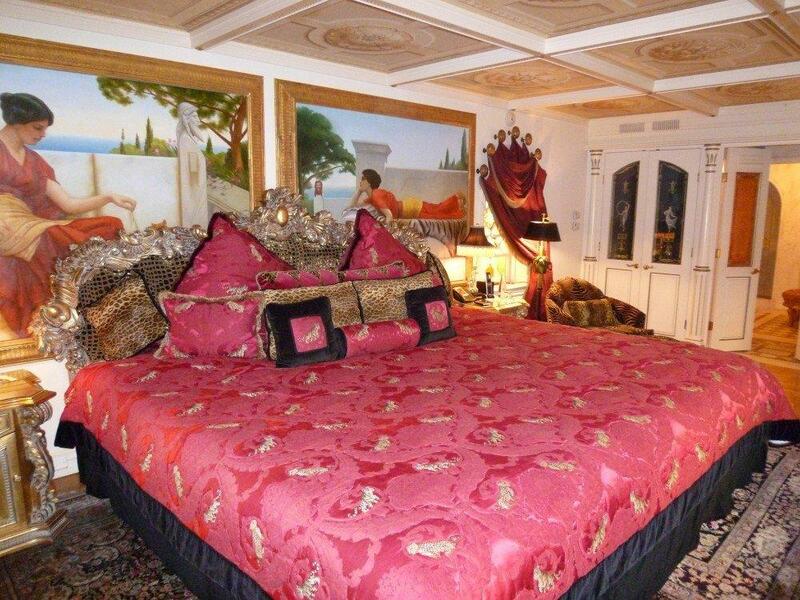 For the oversized beds in the large suites, the bed linnen has been specially commissioned. The beds here are over 13 feet wide and almost 9 feet long. Some of the big NBA stars stays here and the need larg beds for a comfortable nights sleep. 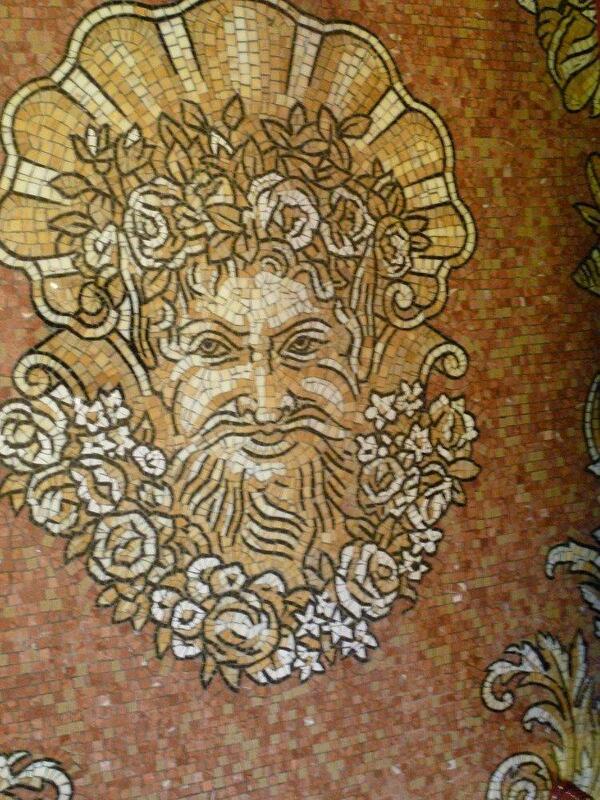 The swimming pool has to be one of the most beautiful in Miami, all real gold and wonderful mosaic. The pebbles in front of the pool are all imported from Italy. 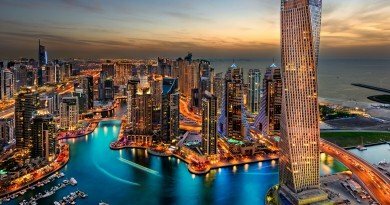 This hotel has a very special flair to it, high in luxury, secluded and secret and yet, just outside the privacy gates lays the buzzing streets of Miami with its bars and restaurants. 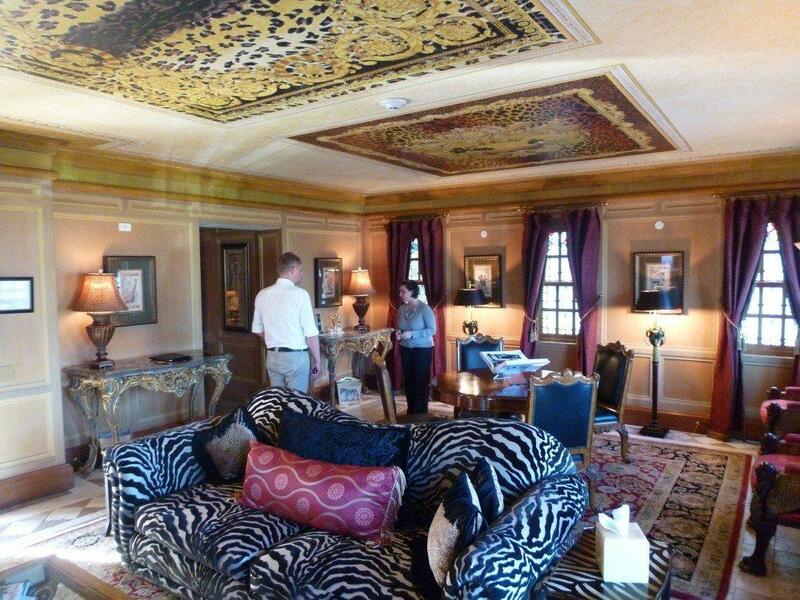 All suites has the Versace feel, bold prints and furnitures, oversized carpets and lamps. Unfortunately none of the existing furnitures are originals. Gianni even had a suit made for Madonna to stay in when visiting the city. 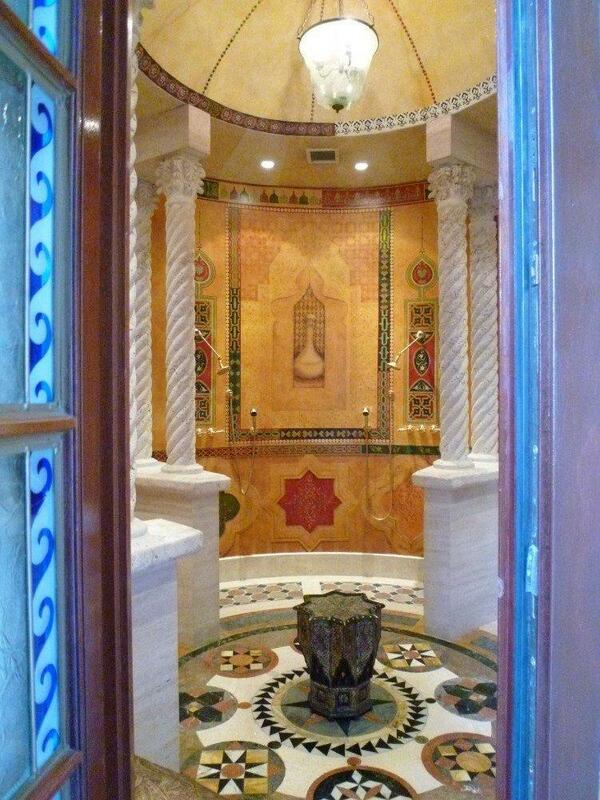 It is a one room suite with a grand moasic floor of the Versace trade mark, en suit bath and shower. This suit is one of the smaller ones in the house. Next to the pool is a terrace and restaurant serving all meals. And if you like in room dining, that is not a problem, 24 hours room service is availabel. All suites comes with a private butler and maid. 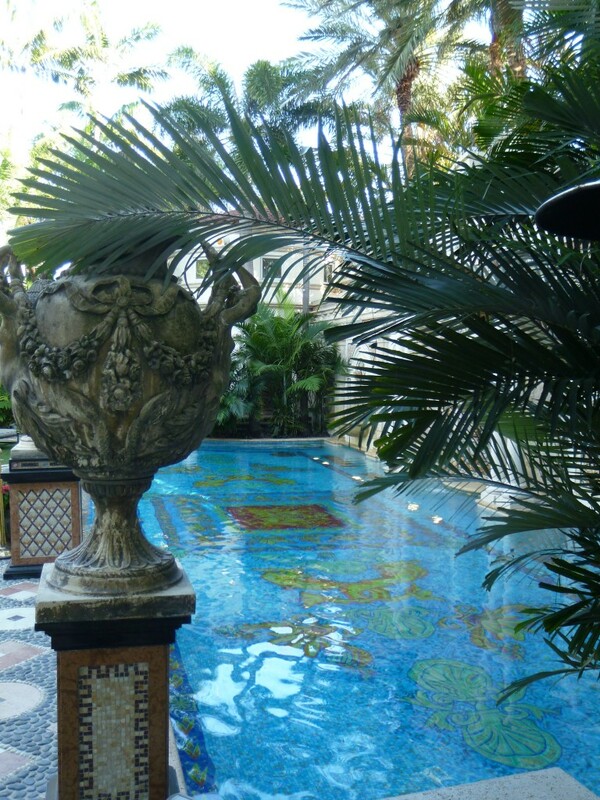 Cuttlery, china, glass ware is all Versace designs, from the terrace you have a gorgeous view of the pool and gardens. The dining room is quite small and a bit too dark. A well stocked bar is situated next to the restaurant. Unfortunately Gianni Versace was killed outside his grand mansion by spree killer Andrew Cunanan. 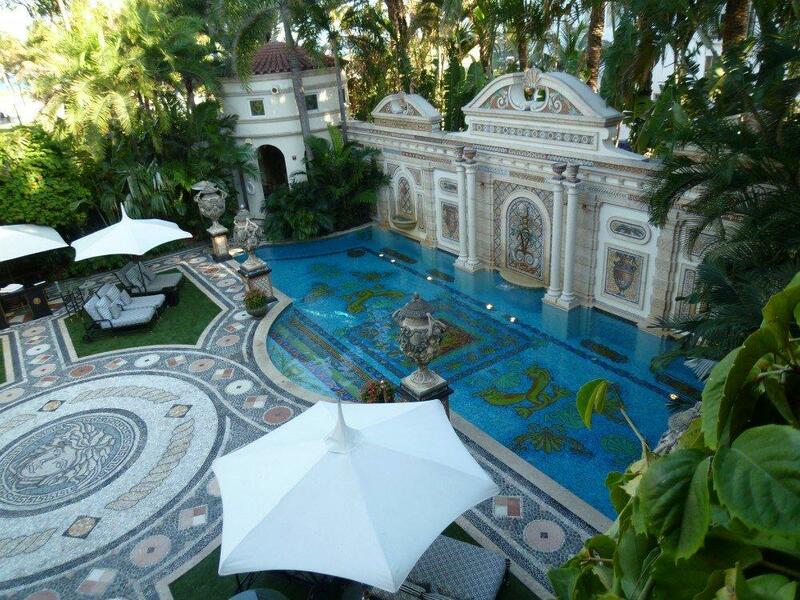 The Villa has yet been sold, this time for $40 million dollars. The plans are to continue running this house as a hotel. This is the place if you are looking for an extremely unique stay. Gianni was NOT killed by his lover, he was killed by Henry Kunanun a Male Prostitute who met Gianni at a party and who became a dangerous murderous stalker. It was on all the news!! Giannini’s lover was in the Villa and heard the shots and ran out to find Gianni dying on the steps. Get your facts straight. You are right about that, thank you for pointing it out. An update will be done.